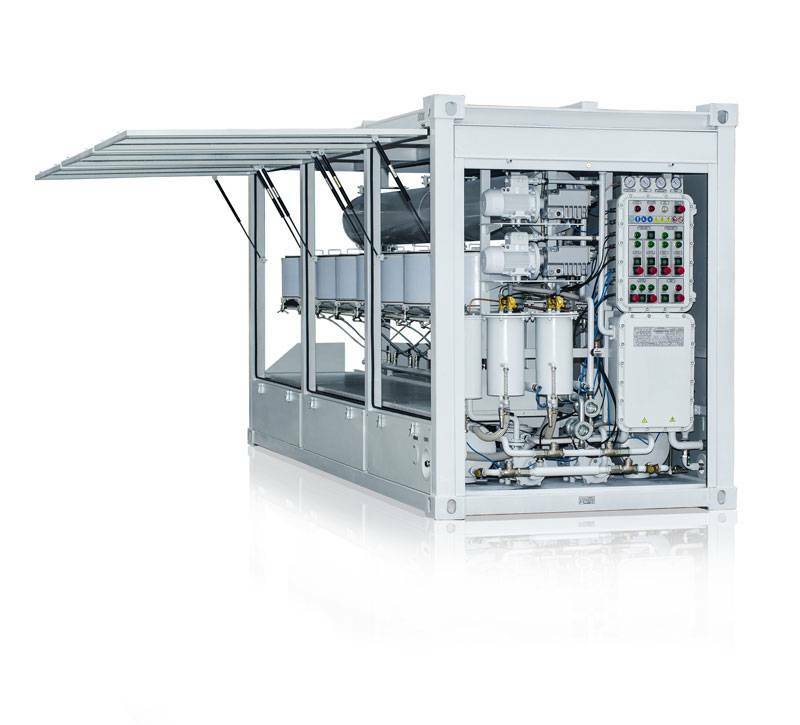 The UVR 450/16(V) plant purifies and lightens dark diesel and heavy fuel oil, removes sulfur and hydrogen sulfide compounds, easily lightens gas condensate, removing resins and contaminants. Processed fuels comply with standards and high purity requrements. The unit removes unpleasant odors, e.g. hydrogen sulfide etc. Processed oil products remain stable and do not darken after regeneration, lightening and purification. GlobeCore regeneration units have successfully processed transformer oil, turbine oil, industrial oils, HFO and diesel fuel in dozens of facilities around the globe. GlobeCore units can be operated anywhere. They do not require special placement, they are simple to transport and generate virtually no noise. We also have designed the system for automatic sorbent reactivation CMM-RP.